Hello, thanks for visiting our site, showcase for KrysPolkino - The Liverpool Photographer. We offer the most exciting and inventive service for Portraits Photography, Wedding Photography & Commercial commissions. Based in Liverpool, Merseyside we work all over the UK, capturing images and having fun while we are doing it. We are so pleased that with engaged Krys to capture our wedding in August this year. His work is of the highest quality and nothing was too much for him to do. He was so courteous and professional and captured our wedding in a way that was exceptional especially as it was tough weather conditions. 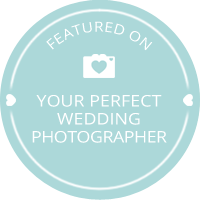 We would certainly recommend Krys to anyone looking for a photographer to capture a special event or big day. Thankyou! Krys is both a great photographer and lovely guy. We were very pleased with the results from our wedding celebration - having given Krys very few guidelines he managed to come up with so many great shots that will help us remember our special day. He's very professional and lots of guests commented on the photographer :) Thanks a lot Krys! Krys is not only an amazing photographer, which is evident by his photos, but a great person. We had a pre-wedding shoot, which was included at no extra cost, and he shot our wedding. Krys immediately put both myself and my husband at ease and everything felt natural with the photos. Krys has an excellent way of coming up with brilliant ideas for shots and really puts thought into each photo. He really captured us as a couple and he has a knack for catching great moments between people. It was a pleasure to have Krys photograph our wedding and the guests had nothing but positive comments to say and loved the pictures. Having received our wedding photos, we are extremely pleased with the end product, and all at a cost we could afford. We couldn't recommend a more friendly and professional photographer. Krys is an incredibly talented and relaxed photographer. He did the professional photos for our wedding and the pictures we got were absolutely stunning. A lovely mix of planned, candid and artistic shots, he captured the mood of the day perfectly. We were completely at ease the whole time in his presence despite neither of us being the most natural in front of the camera normally. Simply can't recommend him highly enough! Exploring Insta places in Liverpool with Kasia and Kyle. Pre wedding photography. Kimberley and Anthony pre wedding session. Wedding at the Park, Liverpool. Sarah & Gareth. Wedding at St.Georges Hall, Delyth and Llew. My 10 best places to see and photograph in Liverpool. Liverpool Wedding Photography with Danielle & James. Wedding Photography at the UK's smallest five star hotel. Karisha & Mike - Liverpool Winter Photography. Air & Matt - Leverhulme Hotel, Wirral Photography. Keziah & Joe - Wedding at Pimhill Barn at Lea Hall. The Wedding of Eileen & Tom in the West Tower, Liverpool. Portrait Photography. Simple and easy way to take portrait images. Wedding Day with Joanne and Carl. Liverpool. Danielle & James pre - wedding session in Calderstone Park. Joanne & Carl pre - wedding session in Sefton Park, Liverpool. 2015 Splash Dash in Sefton Park.